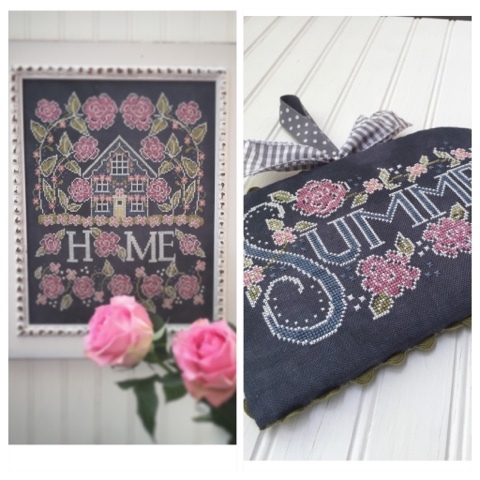 I am so excited to be able to show you the 2nd design in the Chalk for the Home series ! 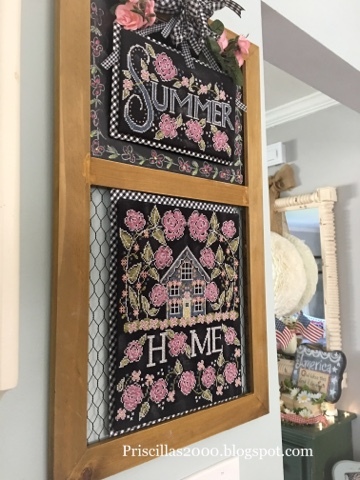 The chalkboard ..stitchy collaboration between Hands On Design and me! Isn't it just beautiful! kitchen .. I just got it all finished up yesterday! I stitched mine on black 28 count evenweave and used the called for threads.. 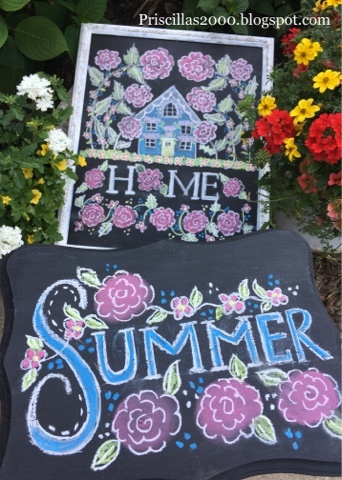 The chalkboards I drew, for this design.. 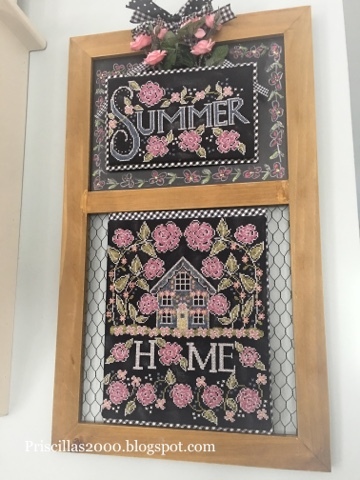 I found the chicken wire chalkboard at Hobby Lobby , and use magnets to change it out from Spring to Summer..I found a little bunch of pink roses at Hobby Lobby and used those with the bow at the top. 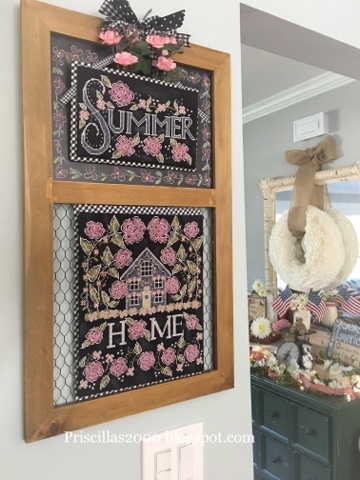 I hope you all love stitching this one as much as I did ..and as my almost 3 year old grandson said.. "Gramma that you house ":) I said "my House" ? He said "yes with all the flowers" He is the cutest! Your Grandson is right, your gardens are full of beautiful flowers. Love your Summer pattern:). 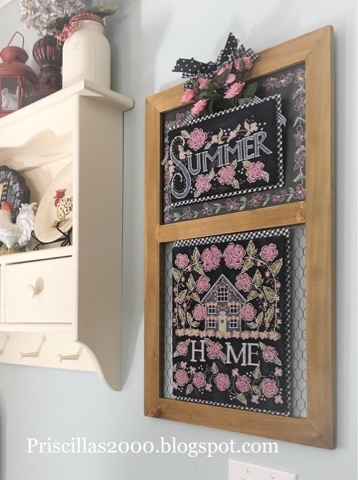 Hi Priscilla I ordered this pattern last week and bought the frame from Hobby Lobby too! I am so excited to get started! Love your blog and your Flosstube videos!